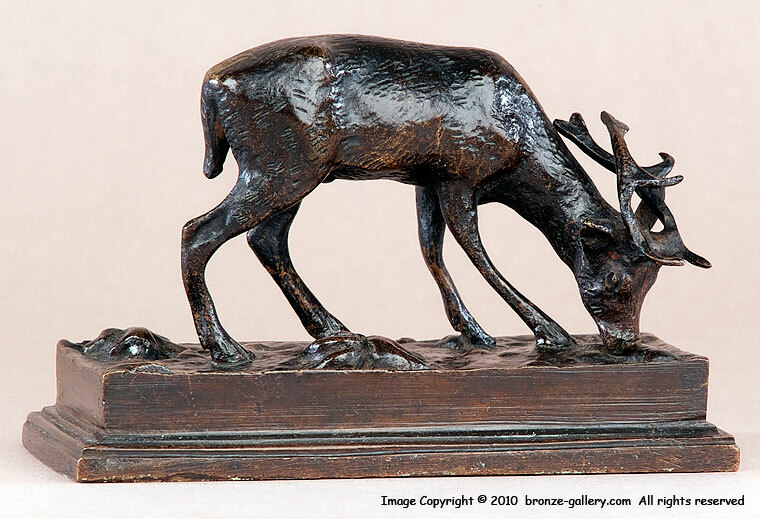 Barye created many small models of deer during the 1820s. 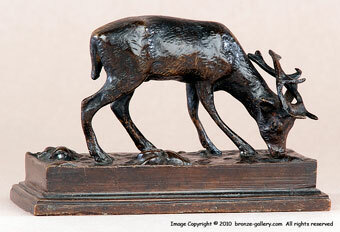 These early works are characterized by the deep plinth bases with beveled edges as is shown in this small Stag. A rare model, the Grazing Stag is typical of Barye's sculptures done when he worked under the goldsmith Fauconnier. 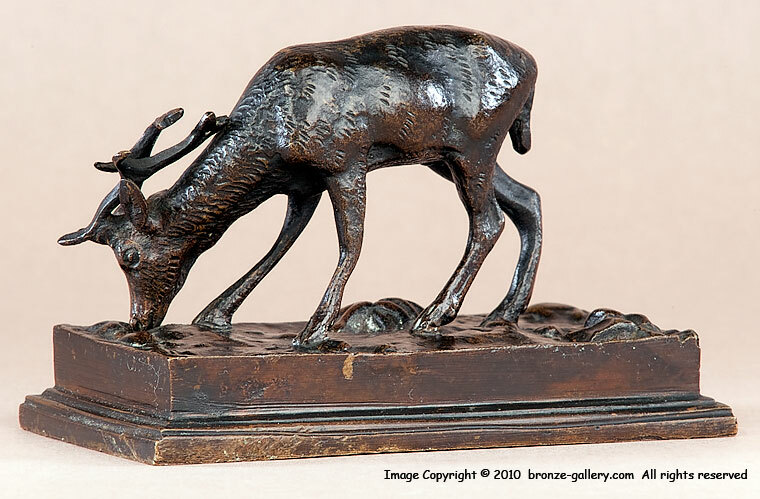 This small bronze of a Stag Grazing was cast some years later than its original creation in the 1820s, it lacks the superb detail of an early cast so it was probably cast in the 1860s. It is still a fine model and has a rich dark brown patina.